Avid Media Composer is a wonderful video editing tool especially with the most advanced color corrector. It is one of the few applications on the planet that can take anything you throw at it. It is completely geared towards any kind of workflow, be it cinema-based, television-based or internet-based. You may recorded some videos in MOV format from your iPhone smartphone and want to import them to Avid MC for better editing. However, sometimes you may find it a painful experience to import iPhone MOV files including iPhone 4K MOV video to Avid Media Composer, and you may have encountered problems. Why? How to get iPhone videos to Avid Media Composer on Mac or PC? In this guide, you can get the best solution. Why failed to Import iPhone video to Avid Media Composer? Actually, this is due to the MOV format. iPhone generally records the MOV format videos. But Avid Media Composer only supports some video formats and two formats are best for it. Avid DNxHD: Create mastering-quality HD media at dramatically reduced file sizes, shattering the barriers to real-time HD productivity. Avid DNxHR: A greater range of media resolutions. Go from lightweight yet beautifully detailed proxies to mastering-quality HD or 4K. Plus, DNxHR is completely backwards compatible with DNxHD. So you may encounter some problems importing iPhone videos to Avid Media Composer. To get iPhone MOV files work with Avid Media Composer perfectly, you need to transcode iPhone MOV to Avid Media Composer more edit-friendly format like Avid DNxHD. 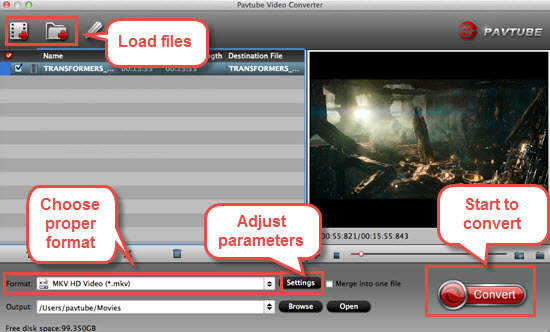 Pavtube Video Converter for Mac can be of great help in this task. With it, you can effortlessly transcode 720p/1080p/2k/4k MOV video files from iPhone (iPhone 7, iPhone 7 Plus, iPhone 6s Plus, iPhone 6s etc) to Avid DNxHD for Avid on Mac(OS Sierra included) without losing quality. Besides iPhoneMOV, this video convert program can also help to convert between any popular video and audio formats like MP4, MTS, MXF, H.265, MKV, VOB, AVI, WMV, MTS, etc. as you need. It also provides you the best g=output format for Adobe Premiere Pro, FCE, iMovie, FCP, Davinci Resolve etc. Plus, with the built-in video editing feature of the program, you can trim, crop, add watermark, adjust effect and more to your video files. If you are running on Windows, get Pavtube Video Converter to convert iPhone video to Avid MC supported video on Windows (10). How to Convert iPhone videos to Avid Media Composer Editable video on Mac? Install and run the program after downloading. Then click Add to load the iPhone videos you want to edit in Avid for conversion. Alternatively, you can add files by simple drag&drops. 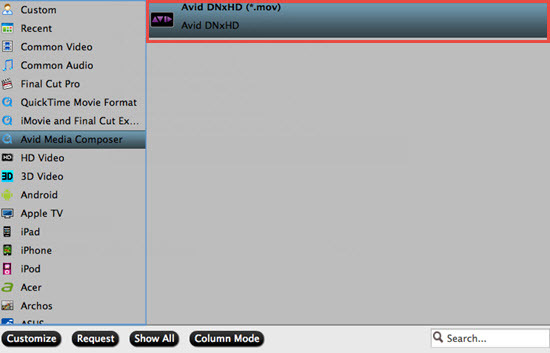 Click Format on the main interface and choose Avid Media Composer > Avid DNxHD(*.mov) as output format. It ensures the best quality while working with the output files in Avid. You are also allowed to adjust video size, bit rate, frame rate, sample rate and audio channels by clicking “Settings” icon. Tip: To edit the video, click “Edit” to use the crisp editing features like trimming, deinterlacing, flipping, adding special effect/text watermark, etc. 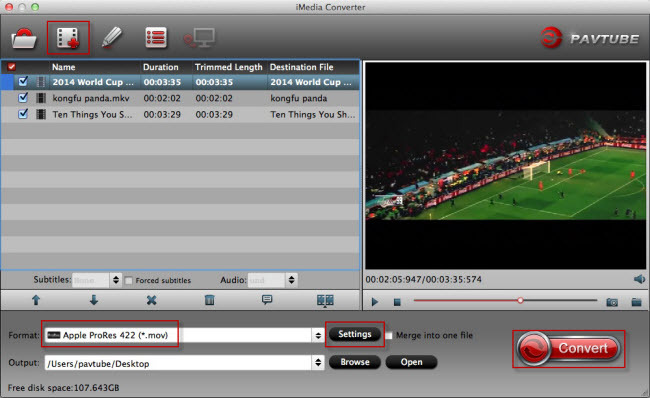 After all the settings, now you’ve come to the last step: click the "Convert" button to start converting your videos. The conversion time depends on your computer speed, file length, etc. Generally, it won’t take much a long time. When the conversion completes, get the converted Avid compatible videos in the output folder and import them to Avid Media Composer without any troubles. If you have an iPhone smart phone, you may like to record a video with it for celebrating a special day, saving happy time…. Afer recording videos bu an iPhone, you can import them to a editor like Premiere Pro for better videos and then sharing with families, friends. But you may failed to edit your iPhone video files in Adobe Premiere. For example, you may prompt an error message on your screen saying that the video files is unsupported when you tried to move, import or transfer the iPhone video to Adobe Premiere. No worry, there is an easy solution to resolve the iPhone videos and Adobe Premiere Pro importing/editing problems. Keep on to learn more details. Why Premiere Pro (CC/CS6/CS5) won’t accept iPhone videos? That’s because the iPhone (including iPhone 7, iPhone 7 Plus, iPhone 6, iPhone 6 Plus, iPhone 5S, iPhone 5C, iPhone 4S, etc.) records and outputs its files as .MOV files. Files are compressed using the h.264 codec, which is not good for editing in Premiere Pro. And we found some people record video in MP4 format and also can’t import iPhone MP4 to Premiere Pro. 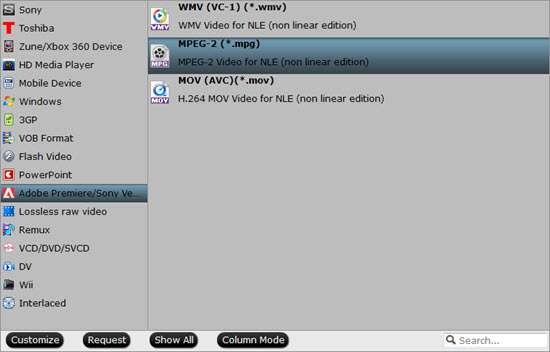 Similar with MOV, MP4 is also not fitable for Premiere Pro editing. How to Get iPhone videos to Premiere Pro? In order to successfully import iPhone video to edit in Premiere Pro CC/CS6/CS5/Elements, a recommended solution is to convert or change the iPhone video to a codec that PPro can natively handle like MOV, MPEG-2 or Apple Prores. To be honest, it’s not as hard as you imagine, what you need is just top Mac MP4 video converter like Pavtube iMedia Converter for Mac. After downloading and installing the gorgeous video converter gadget, you can effortlessly transcode unsupported iPhone video including iPhone 4K video to Adobe Premiere Pro friendly video format while keeping the excellent media quality. More than that, it also supports fast converting other popular video formats including MOV, MKV, MPEG, WMV, H.265 … to seamlessly suit for Premiere Pro, Avid Media Composer, Final Cut Pro, iMovie, FCE, Resolve etc to satisfy your diverse editing demands. Now don’t hesitate to download it and follow the step-by-step guide to transcode your iPhone videos for editing in Premiere Pro smoothly. 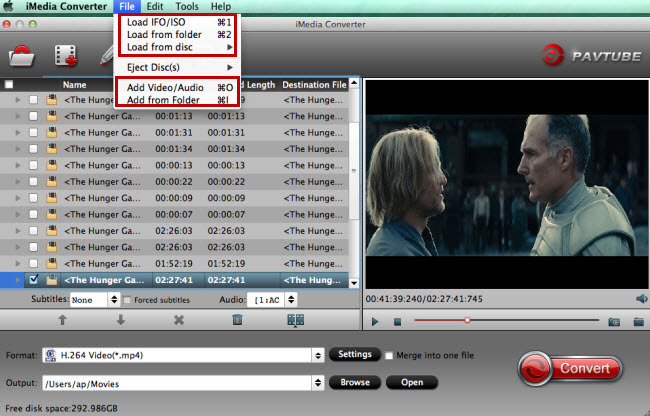 The program even has the advanced editing options to lets you fine-tune the final look of your movie. Drag and drop the video file to left item tray directly. Click Add Files to add video files. On the right side of the interface, you will find the Output Format option. Open its output format list, then you will see two categories: Format and Device. In the Format, just select Adobe Premiere/Sony Vegas –> MPEG-2(*.mpg) as output format and then set the output destination as you want. Now, you get all things ready. Just click “Convert” button. Then it begins to do the conversion work automatically, you can view the progress bar, and click suspend or quit if necessary. Now, you can easily drag the converted file to Adobe Premiere Pro CS3/CS4/CS5/CS6, and do whatever you wanna do. It could have been so easy, right? Cheers. Video _ TS is a short form of Video Transport System and it is basically a directory structure for a DVD movie. Though Video _ TS can be played on computers and DVD players but if you wish to enjoy your movies and videos with Video _ TS folder on Apple TV 4, then you will have to change the format from Video _ TS to Apple TV 4 supported video format. One of the most common and widely accepted formats for playback on Apple TV 4 is M4V and thus converting Video _ TS to M4V will make your video accessible to all devices. 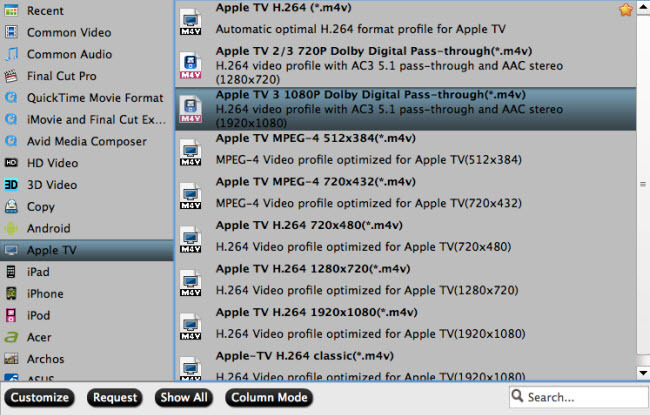 Yes, there are many software and tools that help to convert Video _ TS to Apple TV 4 supported playing-format on Mac. But you’d better choose a professional VIDEO_TS converter for ATV 4. Now just need to download Pavtube iMedia Converter for Mac and follow the guide below to directly stream your VIDEO_TS files on Mac to Apple TV 4 without any hassle. It also supports a lot more other formats that is not compatible with Apple TV 4/3/2/1. Convert VIDEO_TS to mobile phones, Android, iPad, iPhone, Apple TV, PS3/PS4, NLE and other popular end devices. Run the Video_TS to Apple TV 4 Converter program and click “Load DVD” to select and load the Video_TS folder to the program. There are many titles in one Video_TS folder, usually you just need to choose the main title to rip. Click “Format” bar and turn to the Apple TV category. The program has a number of presets for Apple TV, Apple TV 2, and Apple TV 3rd Generation. Here “Apple TV 3 1080p Dolby Digital Pass-through (*.m4v)” preset is recommended. After all settings, tap “Convert” button to start Video_TS movies to M4V for Apple TV conversion immediately. Once conversion completes, you can get the output files via “Open” panel for your Apple TV effortlessly. Now you can enjoy your DVD Video_TS movies on Apple TV without any issue.